The Plant Sales Nursery is open from 08h00 to 16h00 weekdays and 08h00 to 16h30 on weekends and public holidays. 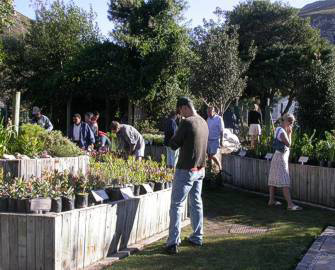 It has a range of indigenous plants suited to coastal and fynbos gardens. Find plants adapted to the conditions in your garden, be they steep mountain slopes, wetlands, shady spots or wind-ravaged dunes. Please enquire at the entrance if you would like someone to assist you in making a selection or to answer your plant or gardening questions.